Every time we are using the motor to our garage, and it doesn’t matter if it is a Genie garage opener or Lift-Master opener, we taking it for granted that we can control the door from distance using the remote control or the keypad, and in our day even from a smartphone. Now when if you search online for garage door openers suppliers in Fairfax VA, you will find that there are many suppliers who offer “the best garage opener in Virginia”, and who promise that the opener they offer is the strongest and the most reliable one. Different garage doors suppliers have different opinions, and while a garage gate supplier in Fairfax will tell you that he believe that the garage home opener made by Genie is the best garage opener, another garage door supplier in Fairfax will tell you that he believe that it is actually the garage openers made by Lift-Master is the best garage opener for homes in Virginia. This article isn’t about which garage opener is the best in Virginia. This article is about the Genie garage door opener, the advantages, how reliable it is, and the ways to install and troubleshoot a garage opener manufactured by Genie. 3 States Garage Doors wrote another article about Lift-Master openers that you can check out in case you would like to compare between the 2 different brands. Where can I buy Genie Garage motor in Fairfax? 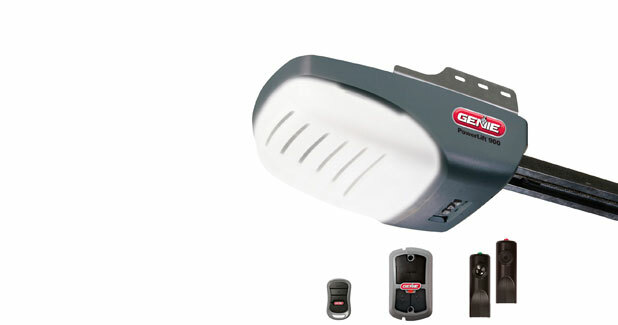 There are many different places where you can purchase a garage door opener made by Genie. You can find it online, you can find it at home depot, Sears, Lowe’s and others. If you are planning to install the new garage opener by “do-it-yourself” (DIY), you can purchase the right opener from any of them. But if you are planning to hire a local garage door technician in Fairfax, you might want to consider purchasing the opener straight from the supplier. In case you are wondering why it is better to purchase Genie garage opener from the same company that will install the Genie opener for you, we can tell you that in terms of warranty, it is better to have everything in one place. So if something goes wrong, the installer will not be able to blame the Genie garage opener since he is the one who supplied and install the opener. Which Genie Opener to install? There are few types of Genie garage openers: The Belt drive, the chain drive and the screw drive. And the opener you will choose to install depend on few things such as: Who will do the installation? And how much the noise level of the opener matter to you. For example: If you are looking to install the new Genie opener by yourself (DIY), you might want to purchase the screw drive Genie opener, which is considered relatively easy to install. If you are planning to hire a local garage doors expert in Fairfax VA for the installation, the chain or the belt drive openers made by Genie will be a great option. And if you are wondering which Genie garage opener is the best for you, you can check out this article about garage opener’s types that explain the differences between the types of openers that can be found in Virginia. In general, we will tell you that the belt drive opener made by Genie is considered quiet and reliable, and although might cost little more, it definitely worth the investment since their life cycle for residential garage doors in Fairfax can go above 20 years when well maintained and properly used. There are couple ways to get a new Genie garage opener installed: You can either do it yourself (Or hire the local handyman to install the Genie opener for you, or to hire a local garage doors company in Fairfax VA to do the installation for you. And since a new opener installment shouldn’t be done more than once every 10 years or more (When installing a high quality garage opener such as Genie opener), 3 States Garage Doors highly recommend hiring a qualified garage doors technician who can supply and match the right opener for you garage door, and who has the tools as well as the knowledge and experience to perform a professional installation. If you would like to install the Genie garage opener by yourself, you can watch the Video bellow and follow the steps on the tutorial that teach how to install a new Genie garage opener by do it yourself. All Genie garage openers comes with user manual. Follow the instructions in order to get the best of your Genie opener, and do not ignore the safety guidelines. And under no circumstances: Do not install the electric opener without a safety component. Genie or Power Master Gate Motor, every automated garage door in the US must include a safety feature. Wireless Keypad: The wireless key pad is mounted to the wall right next to the garage, and it allow keyless opening of the door. They are a great solution for people who want to be able to access the garage (Or the house in case the garage is attached without a key, simply by using 4 digits code that can be choose at the installation of new Genie garage opener. If you are not sure what the keypad is, look at one of the garages in your neighborhood in Fairfax and you will see in most of them a keypad mounted to the wall at the entrance to the garage. Remote Control: This is the most popular way to open and close the door to the garage. The Genie remotes (Clickers) are relatively small, and can be carried in the pocket or inside the car. They rarely break and all you will need to do is to replace their battery every certain amount of time. Wall-switch: The Genie wall switch is installed inside the garage, at a location from which you will be able to see the entrance to the garage. It allow you to open and close the door without the remote, to control the way the Genie opener behave (In some models), and to troubleshoot the door in case something went wrong. Safety Feature: This is the time to tell you that every garage opener should include a safety feature. The safety reversing system can come in different shapes such as the laser safety sensors or the safety edge. But no matter which one you will choose, it must be included in the installation! Whether it is a garage door opener in Fairfax, or garage door opener installation near 999, a safety feature should be installed at the time of the installation. And not only to be installed, should the safety feature be installed properly according to the safety guidelines. Since it is the law!! This is for your safety. Just think about the closing door when there is something bellow it. We assume we do not need to go farther with that description and what can happen. Why the safety sensor light is blinking? Genie safety feature troubleshooting: As we explained earlier, every automated garage door, whether it is equipped with Genie opener or not must include a safety feature. A flashing “Safe T Beam LED” indicator means a malfunction has occurred and it need to be addressed in order for the opener to operate safely again. The first thing you should do is to make sure that there is no dirt covering the lenses. Second, check if the wire is damaged, cut or disconnected. If the LED indicator continues to flash, although you checked and saw that everything is in place, see your owner's manual for a list of possible causes or contact a local garage door service provider in Fairfax VA who will come and fix the issue for you. Why the opener isn’t closing the door all the way? If the door is closing part of the way, and then reverse to open position (Unlike garage doors that close partly and stuck in the middle). Check for and clear any obstructions at the door’s path. If there is nothing at the door’s path, check to see if the laser sensors are working properly. If there is a blinking light, see the paragraph above for troubleshoot. If the problem continue, hire a local expert to fix the issue. Why Genie opener running, but the door is not moving? This might be one of the simplest issues to solve, and for that you do not need to hire local garage door expert in Fairfax to come and repair it for you. Your garage door might got disconnected from the opener. Check that the emergency-release cord has not been pulled. If indeed this is the reason why the opener is running but the door isn’t moving, you will need to reengage the carriage. The method to reengage the carriage depends on the model of garage door opener you own. See your owner's manual for more details, or watch a DIY tutorial on how to engage Genie garage opener. 3 States Garage Doors offer same day service for Genie Openers. Whether you need new Genie opener installation, or service the existing Genie opener, get in touch with us today for same day service in Fairfax. 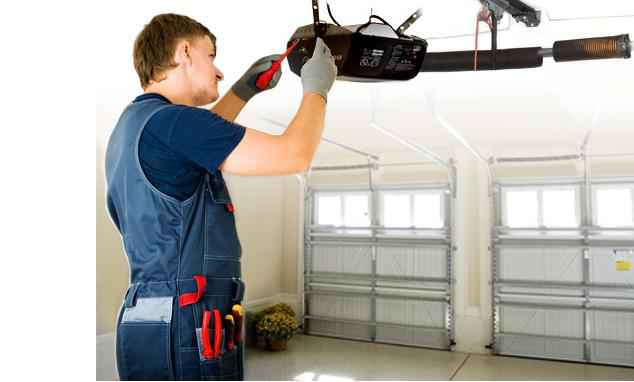 We can deal with both commercial/industrial garage operators, and home Genie garage openers. We are able to provide same day installation services as well as long lasting high quality garage operators. If you are looking for a reliable vendor near Fairfax that can supply and install Genie garage openers, we are here for you. All you need to do is to call Three States Garage Doors, and one of our garage installers will be on the way to assist you.